I love trying different cuisine. I’ve actually shared several of my favorite meals here: Lyonnaise Salad, Singapore Chili Crab, Indian Butter Chicken, Bouef Bourguignon, and Mee Goreng. 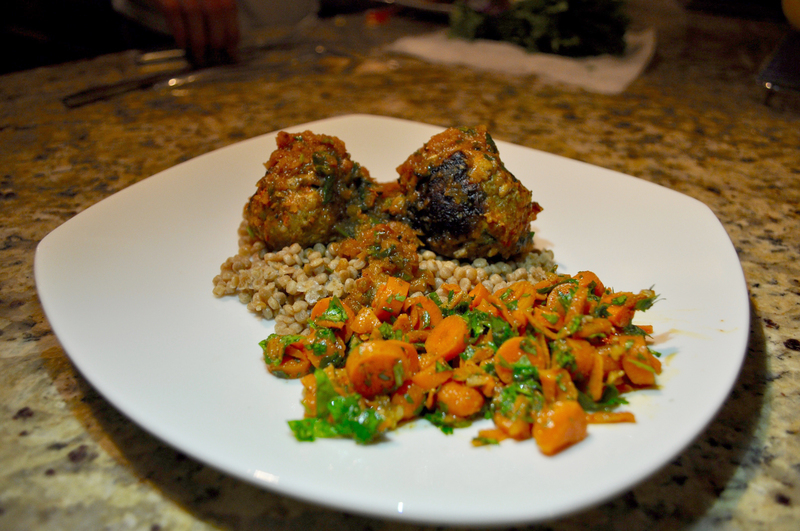 I was craving Moroccan food recently so I decided to try my hand and making Moroccan meatballs. As the meat was bubbling away in the sauce I decided to put away some glassware. One of the glasses slipped from my hands, fell onto another glass, then shattered to the floor. There was glass absolutely everywhere thus making my meatballs uneatable. You can image my disappointment after all that effort! Feeling defeated, I ordered Indian for dinner instead. Last that weekend I made it my goal to try the Moroccan recipe again. And you know what? I smashed it. It was so good! Everything I was craving all satisfied in this simple dish. Cooking new recipe can be daunting sometimes, but now that I have a couple of impressionable ones up my sleeve I feel confident trying other recipes. 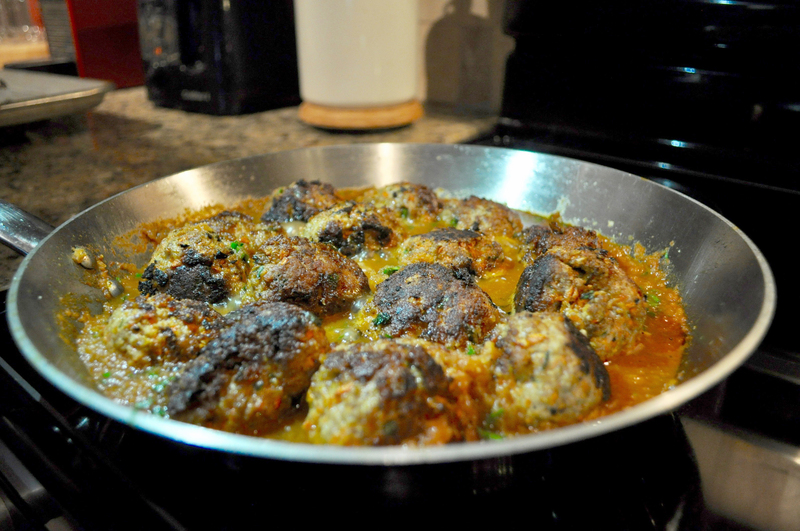 This meatball recipe is similar to one I used. 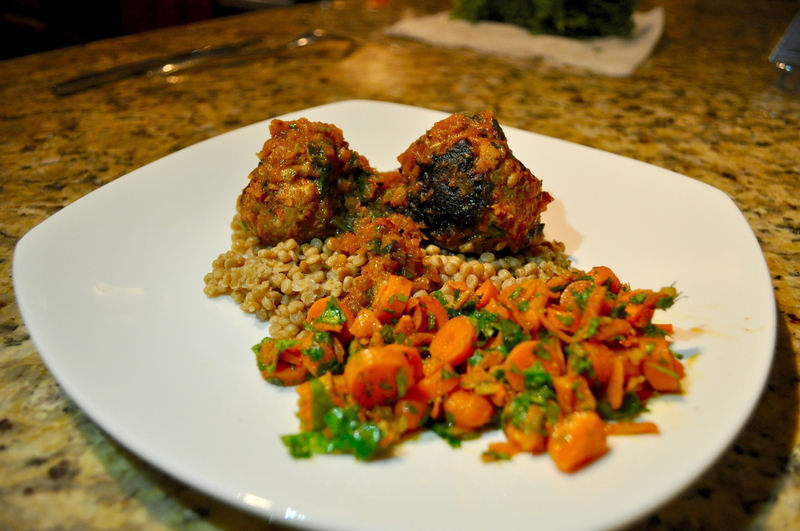 I poured the meatballs and sauce on a bed of couscous, and had a fresh carrot salad to go with it. 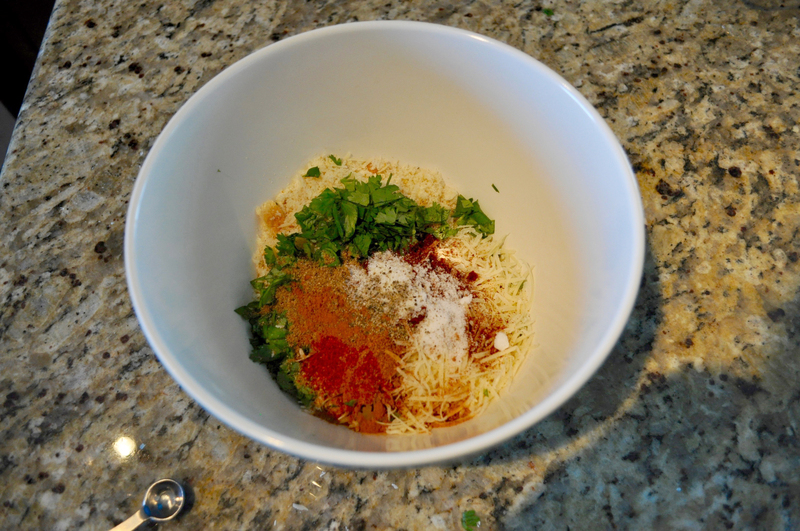 Next time you want to try a new recipe, give this one a try and let me know how you liked it!